… is Durham, Pittard & Spalding, LLP. A critical perspective that often evades a litigator’s analysis is that of the judge. In trying cases, it is important to keep not only the jury in mind, but also the trial judge and the appellate judges who are often asked to review the trial. Kirk Pittard and Leighton Durham formed this firm in 2004 to help trial attorneys maintain this perspective. 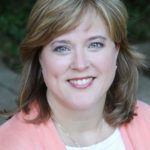 Their prior experience as briefing attorneys for state court of appeals judges and a federal district court judge gave them a unique perspective that, for more than a decade, has successfully provided trial and appellate support to trial lawyers in just about every type of commercial, personal injury, and family law case—including a case involving a stolen dinosaur—in Texas and around the nation. Thad Spalding joined the Dallas office in 2013, and Rick Thompson joined in 2018 to add to the firm’s depth of experience. Justin Kaufman manages the firm’s Santa Fe, New Mexico office, where his trial court experience in wrongful death, product liability, asbestos, and personal injury litigation helps trial lawyers secure positive outcomes for their clients in jury trials and on appeal. 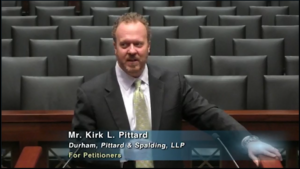 This broad range of experience, knowledge, and attention to detail makes Durham, Pittard & Spalding, LLP an essential part of your trial and appellate team. Morgan McPheeters is a "Rising Star" again! Justin and Rosalind win significant personal jurisdiction argument in New Mexico! DP&S is back-to-back in the Texas Supreme Court! DP&S helps secure big win in New Mexico ground water case! © DURHAM, PITTARD & SPALDING L.L.P. 2013 All rights reserved.